Adobe Premiere Elements 14 : A Better Experience? 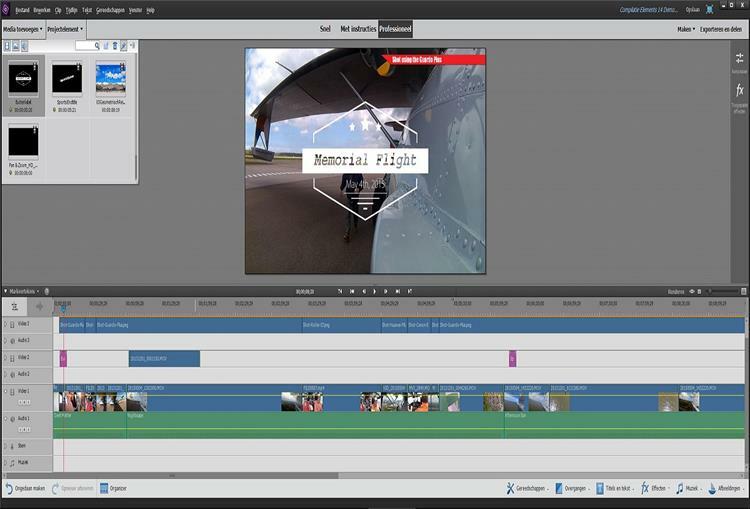 With its latest 14th version, Adobe Premiere Elements added a new hope for the video making enthusiasts. This version has earned quite a good feedback and user report by adding up really a better support for the 4K Ultra HD video with some tricky new effects like color pops and motion titles but still didn't lose out in its simplicity and ease of use. Now you get a series of new features in it that has extended the usability and functionality of the software. By giving an extra edge to the video makers, Adobe Premiere Elements 14 has lesser competitors to worry about. This 14th version of Adobe Premiere has added a good amount of modifications to its audio editing with options like speeding-up and slowing down effects, a lot of new export options and so on. But Premiere Elements 14 is yet to compete hard with CyberLink PowerDirector 14 Ultimate that is available at a price of $129.99 at CyberLink and offers a different experience of video editing altogether. 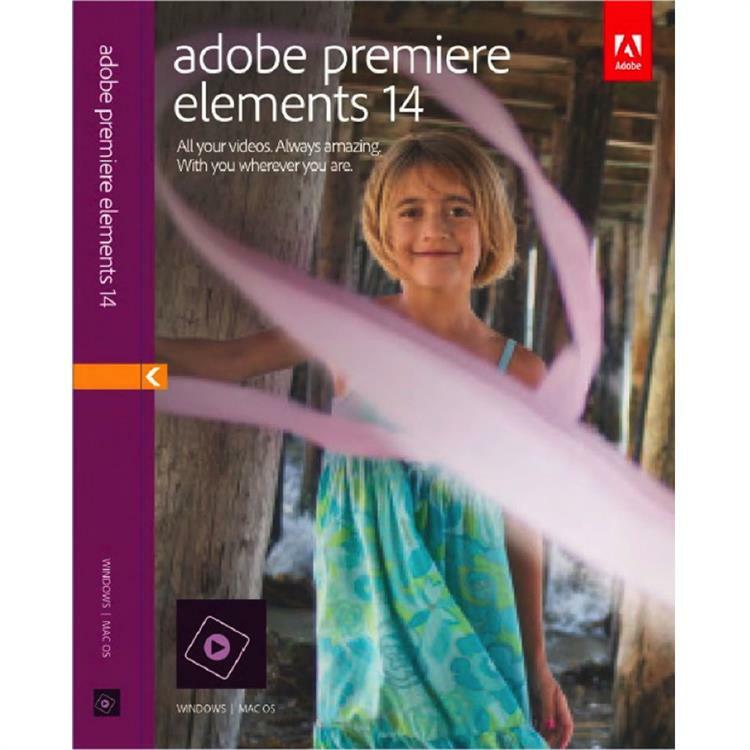 Premiere Elements 14 is now available at $99.99 if you ask in Dell. It is compatible with Windows 7 SP1 and its later versions as well as with Mac OS X 10.9 and its later releases. They have also kept an option open where you can choose to club it together with Photoshop Elements for a price of $149.99 or even as a standalone app just for a throw away price of $99.99. And don't worry, all these are just one-time fees which aren't related to their Creative Cloud, as they have not annexed Premiere Elements to it. For those who are out for upgrading their stuff from a previous version, they get it for even lesser a price like $79.99 to $119.99. Go for the free trial of 30 days where you get a full-featured program at, but there the videos generated will be with watermark. To get the Premiere installed in your system you need to have a fast internet connection with a good capacity hard drive as it will occupy 3.5GB of disk space. A well powered machine that is having a multicore CPU, with at least a 2GB of RAM and 5GB of available hard drive space would be the minimum requirement for the app to run. On Windows, the app would ask for a SSE2 support from your CPU and you have to get a DirectX 9 or 10 graphics card that carries a 1024 by 768 monitor to make it run without hitches. To keep it familiar to the old users, the Premier Elements 14 interface has been kept almost the same carrying along the standard timeline running across the bottom of the screen and preview. The same content panels are present right there at the top half of its window. This time the editing interface has maintained its four tabs of mode: eLive, Quick, Guided, and Expert with few more modifications, like they have updated the ancillary Organizer app a bit. And the eLive tab is now included within the Organizer itself; here they have listed down the product news, ideas, and also the tutorials. The Organizer's Places tab itself deals with the video files, where they allow you to drag and drop your favorite video clips onto the map. You can also use them for geo-organization for respective media format and also as still images. The overall construction process of making your digital movies is made easier with the help of Video Story and Favorite Moments where you can easily chuck the unwanted portions of your video footage automatically. Premiere Elements has categorized five story elements. These are: General, Birthday, Graduation, Travel, and Wedding. After adding the media to your video clip, you go with the Next, and the storyboard's chapter tiles will appear before you. There you can simply drag the clips and photos on the tiles. You can even delete the unnecessary parts from it. And finally the app analyzes your stuff and things are ready for the show just prompting you for its subtitles, headings and adding the voice overs if any. You get your movie ready for the first cut. To give your presentation a better look the Premiere Element 14 has tagged along a series of fantastic video effects like picture-in-picture, scaling, chroma keying, opacity, and even key frame-timing effects. The Videomerge on non-green-screen clips looks after the degree of overlay transparencies. The Organizer app has got an Export and Share button in its editor tab placed at the top right corner from where you can share your stuff through computer files, DVDs, and on the Web. Upload your videos directly to YouTube, Facebook, or in Vimeo, choosing the HD or SD quality and save them in formats like MPEG, Flash, AVCHD, AVI, WMV, QuickTime, with all the options available for all standard resolutions and also the bitrate targets. Performance-wise Premiere Elements is still behind programs like speed-leader PowerDirector if you talk about rendering your stuff. Though the Element 14 displays a progress bar showing the percentage of elapsed and the time remaining, it does not give the elapsed time in the current frame, neither does it show any video preview, as you get it is in many other editors. As of now there are things to appreciate in Adobe Primiere Elements 14. It maintains a clarity, opacity, that is because of its simple interface. The Edit Guidance is easy to follow and that teaches you the basic methods and prepares you well for the advanced ones. The good amount of video effects and text tools along with good Audio editing makes the video maker work in peace. 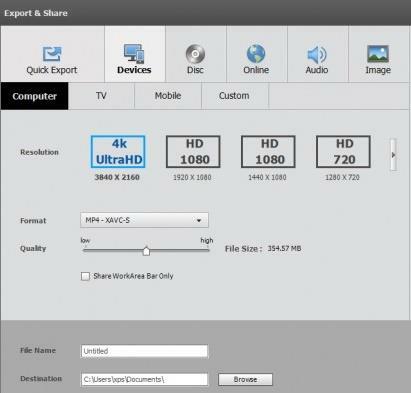 There is a fair control over stabilization and support for 4K. Things go disappointing as you can't do 3D editing here. There isn't any multicam feature either. They haven't thought of providing a screen cam. The rendering speed is not that impressive. All said and done Adobe Premiere Elements 14 can be remarked as an easy going video editor with good amount of effects. It is affordable and has made movie making easier than before and for both newbies and experienced video makers, it is a worth having tool.